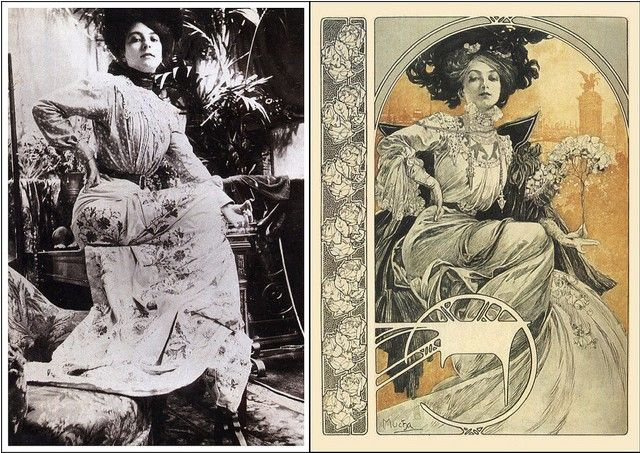 The woman of fin de siècle: sensual and ephemeral, seductive and inaccessible … Who expressed her essence better than the brilliant Belle Époque artist Alphonse Mucha? 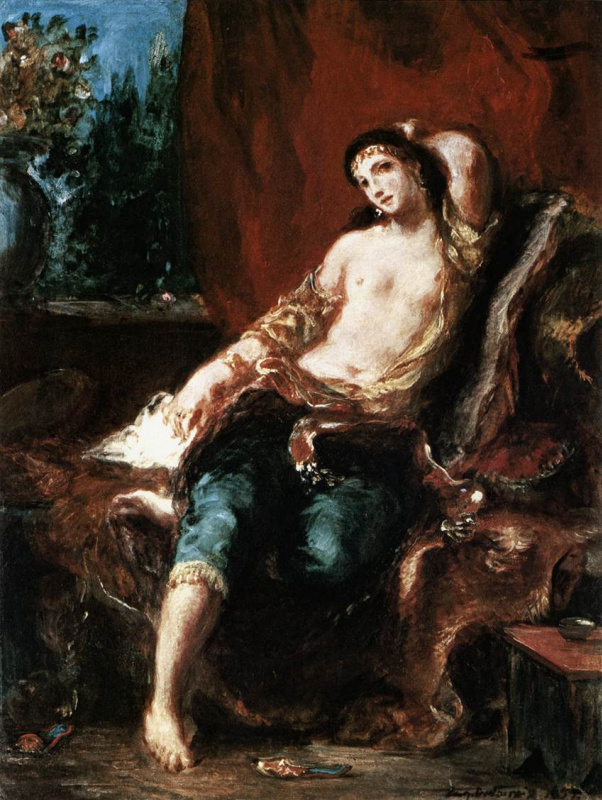 His women are charming goddesses with splendid hair, exuding languor and bliss. 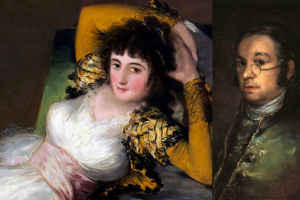 Their fleeting movements, careless postures and elegant gestures were depicted by the artist with amazing accuracy. 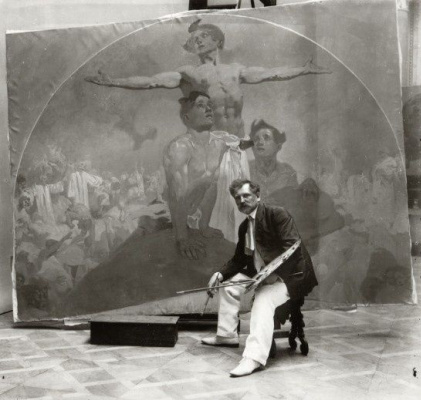 Without diminishing the author’s talent and personal skills, we’ll reveal his small secret — Mucha was fascinated by photography, which proved to be very helpful in his work. Emerald. 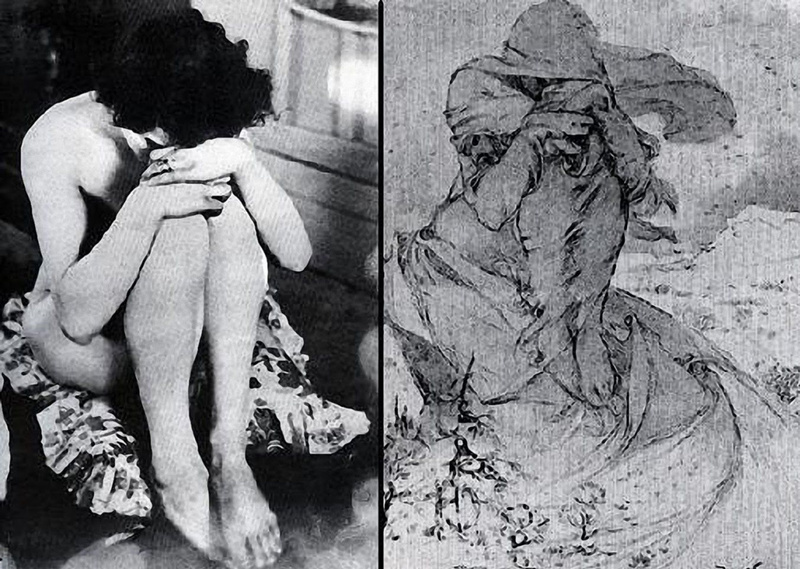 From the series "Precious stones"
Edwin Landseer, a famous British artist, well known for his paintings of landscapes and animals, called the new-fangled invention — the camera — "the enemy of visual arts." 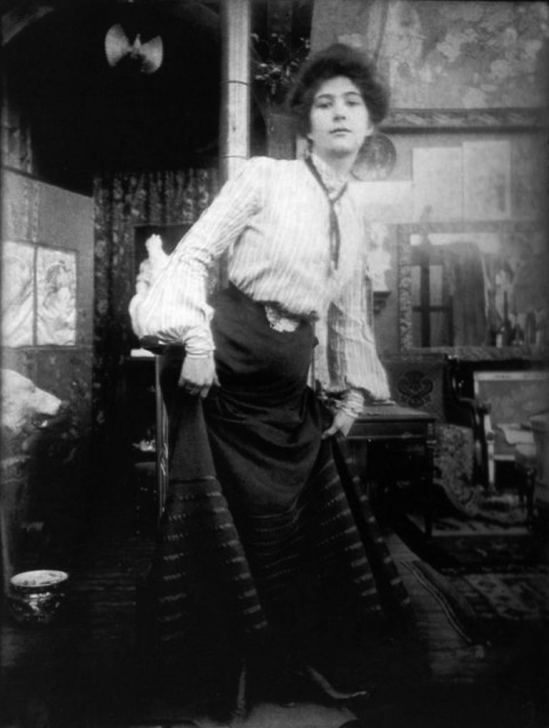 However, many artists considered camera not only their competitor in capturing reality, but also an assistant who could facilitate their work. 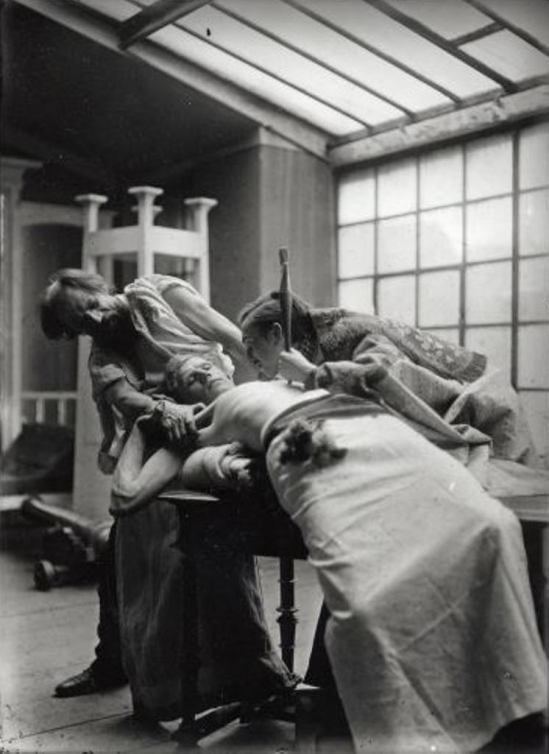 Photographs served as material for studying anatomy, arranging multi-figured compositions and modeling drapery folds, since they allowed capturing unusual angles, changeable lighting and mimic nuances. 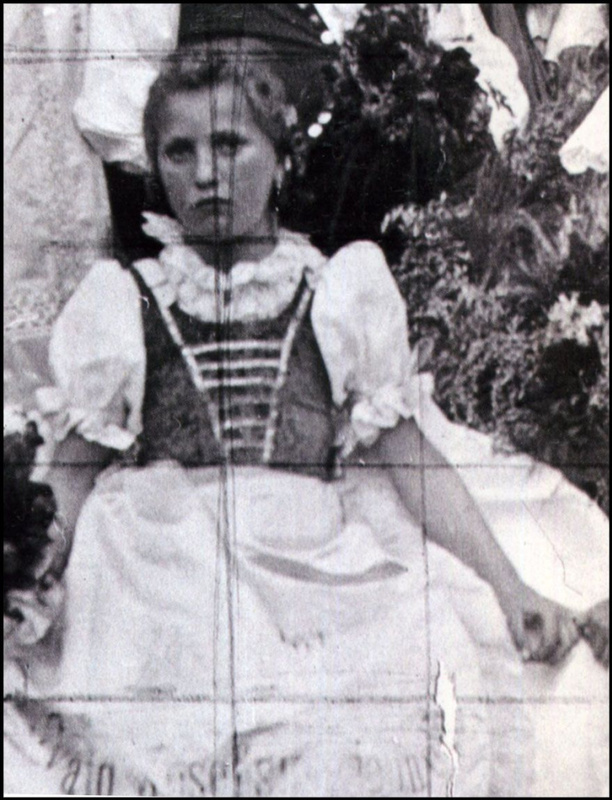 Moreover, it was possible to put the photograph aside for some time and use it later. 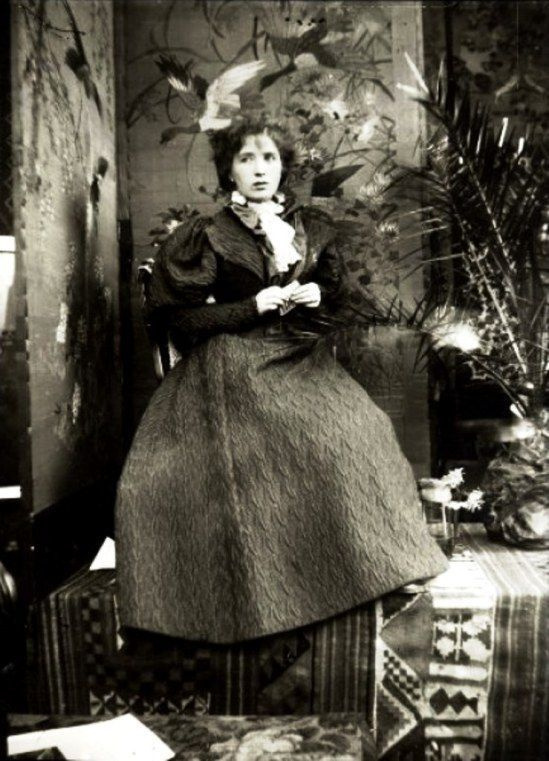 It was much more difficult to deal with sitters — it was necessary to negotiate with them, coordinating the time of posing, and paying them a lot of money for each hour. 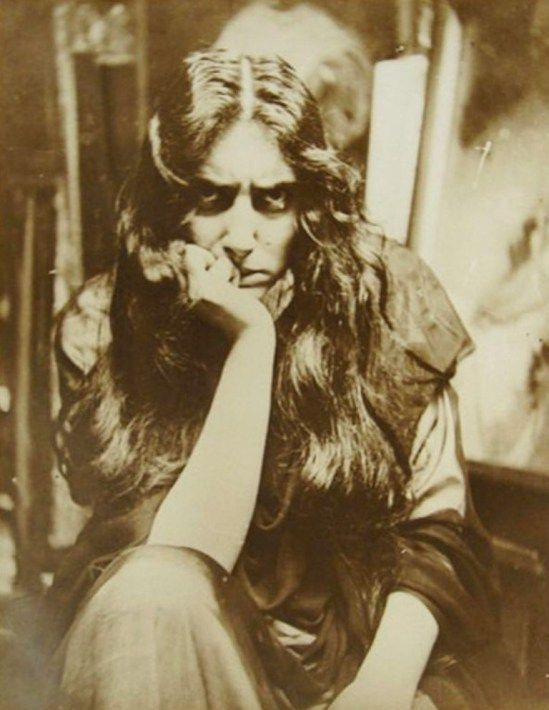 Since the middle of the 19th century, many artists have been experimenting with photography. 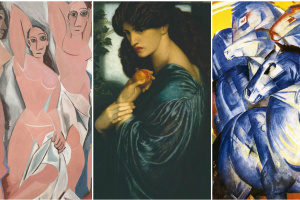 Degas and Delacroix, van Gogh and Gauguin, Cézanne, Borisov-Musatov and other artists used photographs when creating their paintings. 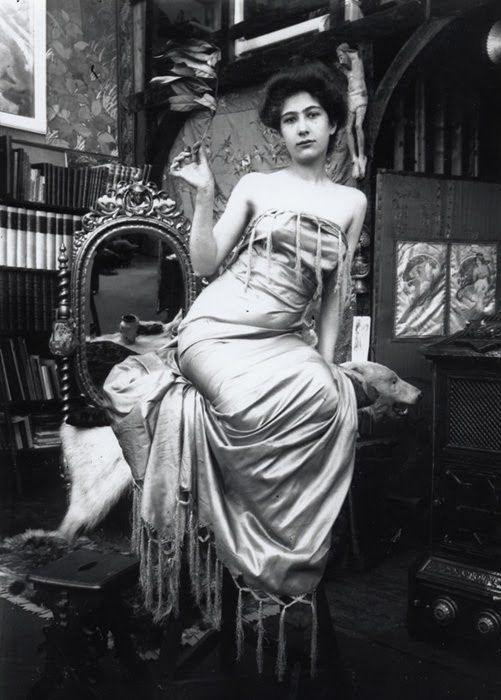 Young Alphonse Mucha began to take photographs with a borrowed camera even before moving to Paris, in Munich in the mid-1880s. 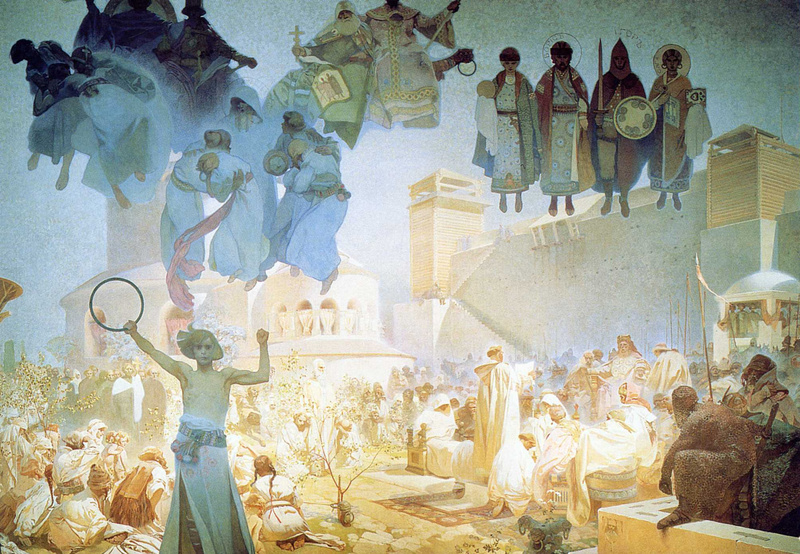 In 1887, Mucha got into the Parisian circle of life — studying, communication and work, work, work. 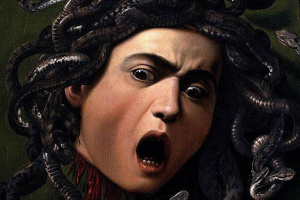 Yesterday’s Moravian provincial didn’t refuse small commissions, willingly created illustrations for magazines and books, gave private painting lessons, later recalling the first five years in Paris as "a terrible time of hardship and loss." 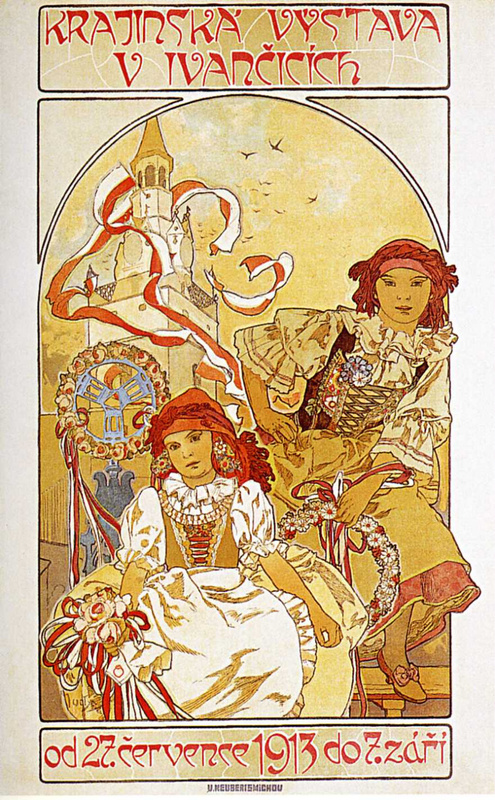 The first success came in 1892 — a commission to create a design for the multi-volume work Scenes and Episodes from the History of Germany by Charles Seignobos, which brought the artist relative financial stability. 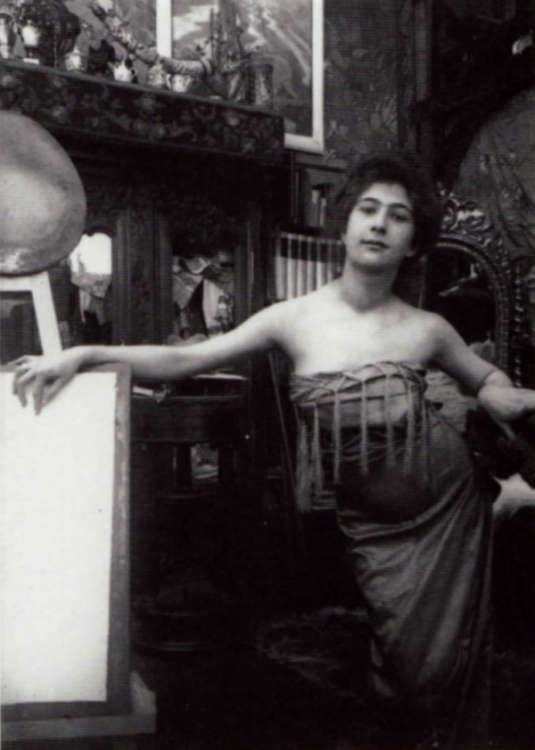 In 1893−96, renting a room above Madame Charlotte’s cremerie at rue de la Grande Chaumiere, Alphonse made friends with the upper crust of Paris society. 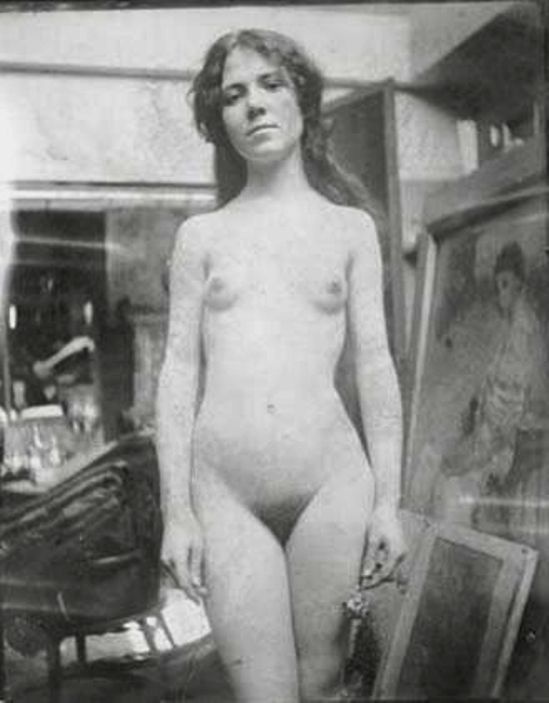 For some time, he shared his studio with Paul Gauguin and his young exotic girlfriend, model Annah the Javanese. 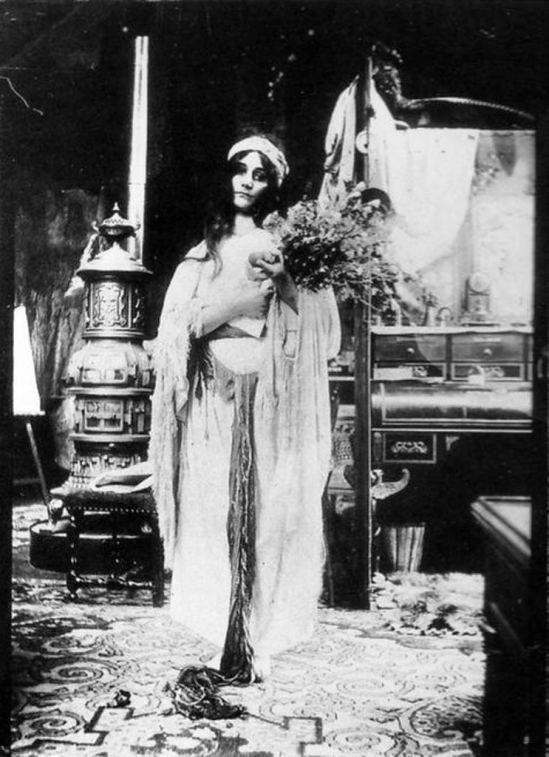 Mucha could then afford buying a good camera, capable of creating 10×15 cm pictures. 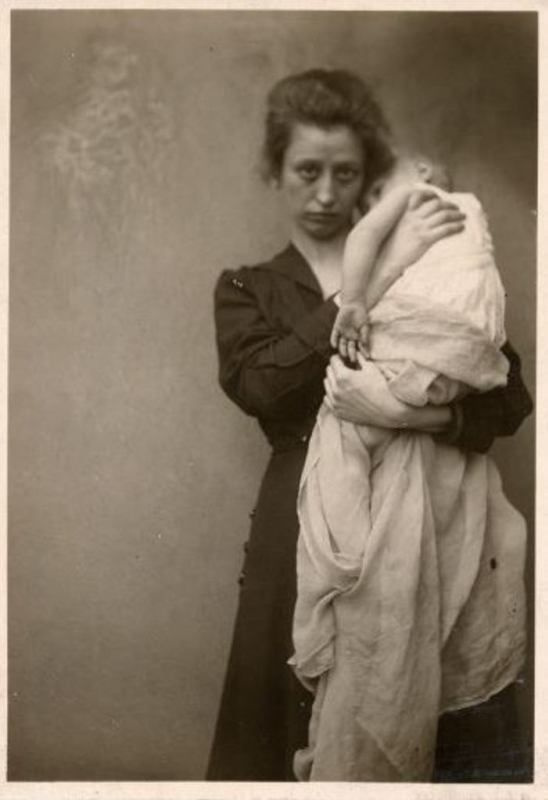 From that moment on, photography became the artist’s companion for many years. 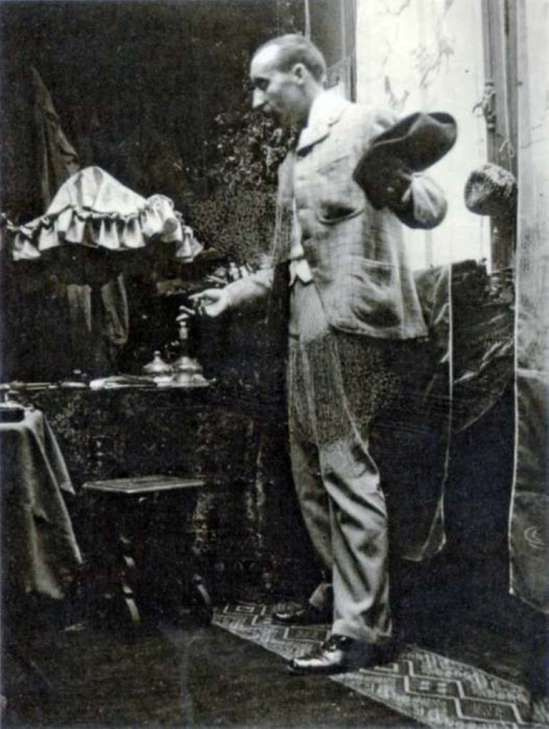 Gauguin himself posed for the artist when the latter was illustrating the book Memoirs of a White Elephant by Judith Gautier. And also joked around: just look at the second photo below! 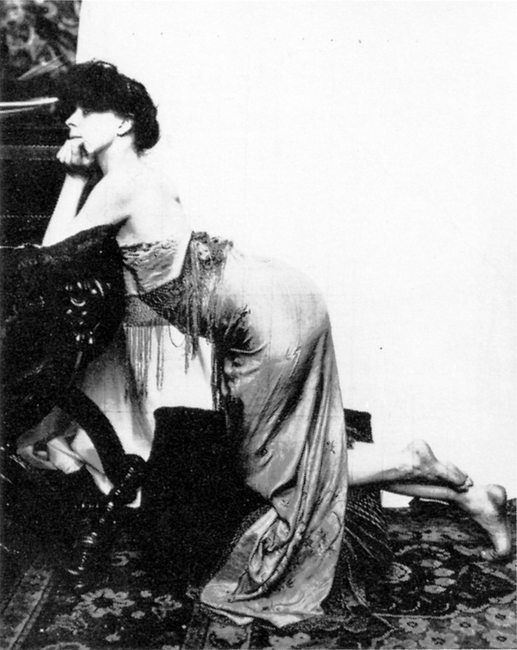 Poster for Sarah Bernhardt "the Samaritan woman"
"Rose to fame overnight" - this is exactly what happened with the talented Czech. 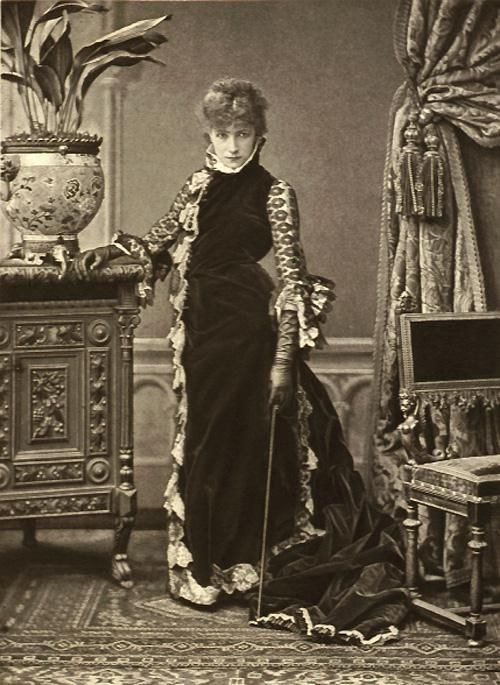 In the Christmas days of the outgoing 1894, he was asked to undertake a last-minute commission to design a poster for the play Gismonda with the magnificent Sarah Bernhardt in the lead role. On New Year’s morning, Paris was astounded by the unusually large size (2×0.7 meters) of the poster and its brilliant graphic design. 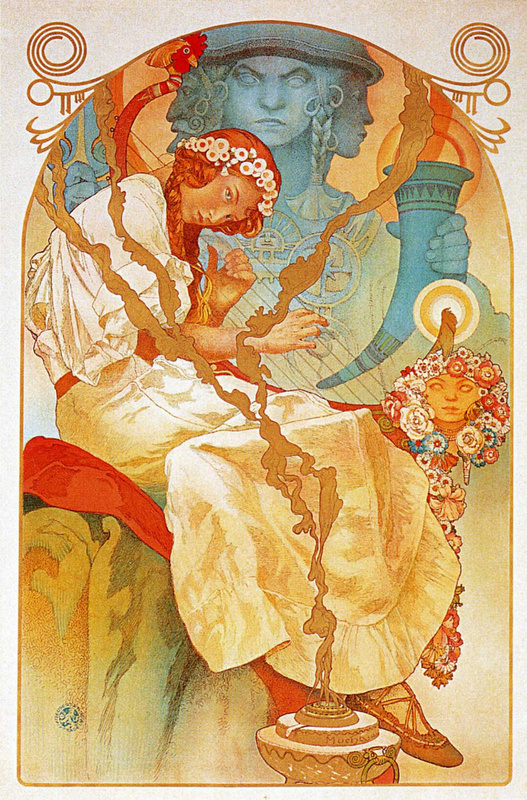 Mucha’s work made a real sensation. 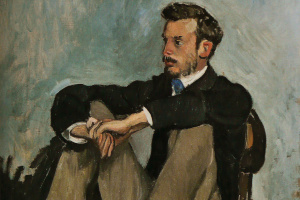 Collectors bribed bill stickers to obtain the artist’s posters or simply cut them down from the hoardings. 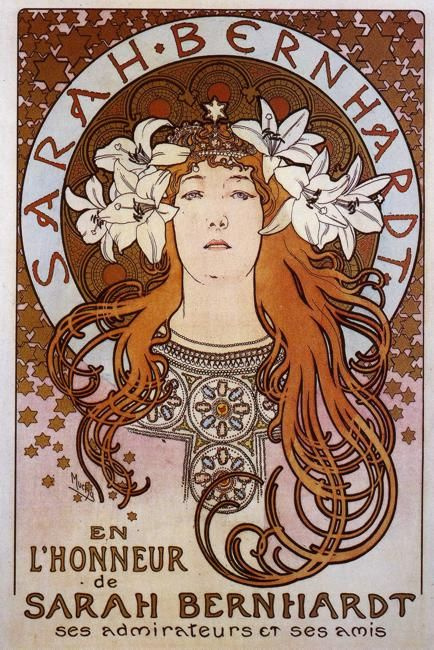 Giddy Sarah, having offered Mucha a long-term contract, concerning designing posters for Théâtre de la Renaissance, became the artist’s patroness and muse. 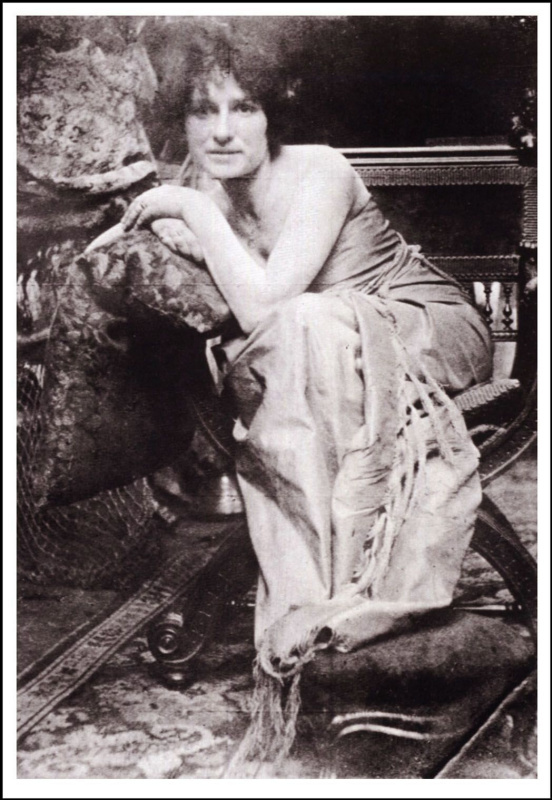 Enviers gossiped about the middle-aged actress and 34-year-old Mucha being in a relationship, but these rumors had no basis in reality. 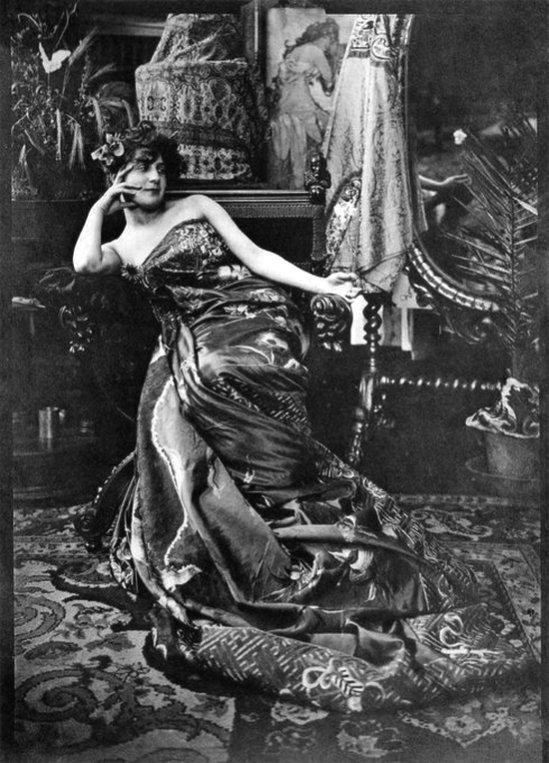 The divine image of Sarah is captured in a variety of posters, most of which Mucha created using photographs. 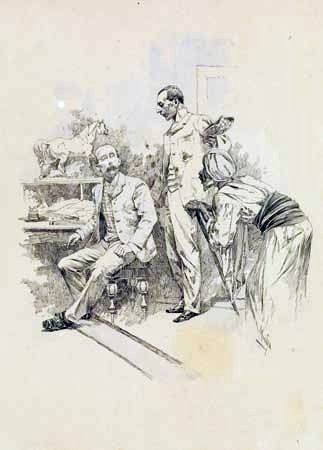 In 1896, Alphonse moved to a studio in the rue du Val de Grâce. 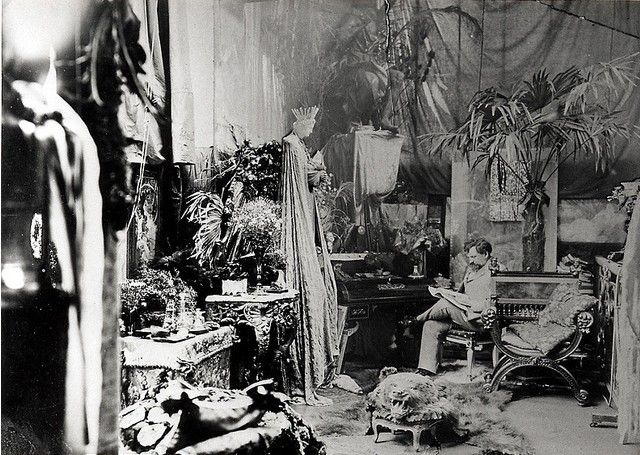 Any artist could dream of such a studio — huge windows and a glass ceiling provided the spacious room with excellent illumination. 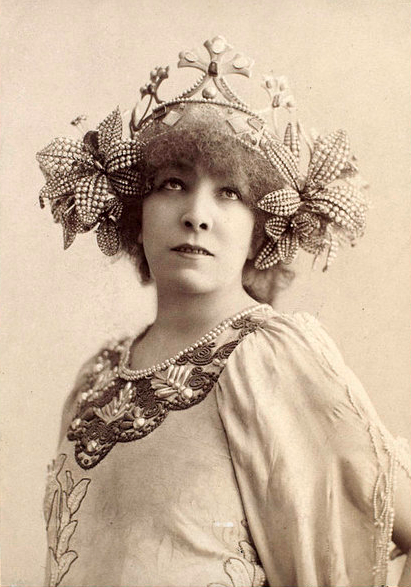 Mucha acquired two cameras (for photographs in 9×12 and 13×18 cm format) and began experimenting with fresh enthusiasm, taking pictures of models in theatrical entourage, using draperies and jewels. 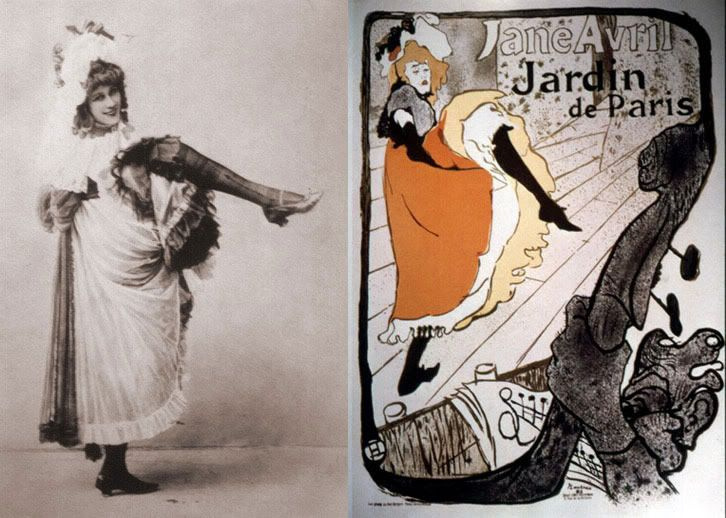 Interestingly, the maestro preferred to improvise while shooting, and was driven by inspiration, creating works for the future rather than for a specific project. Evening reverie. 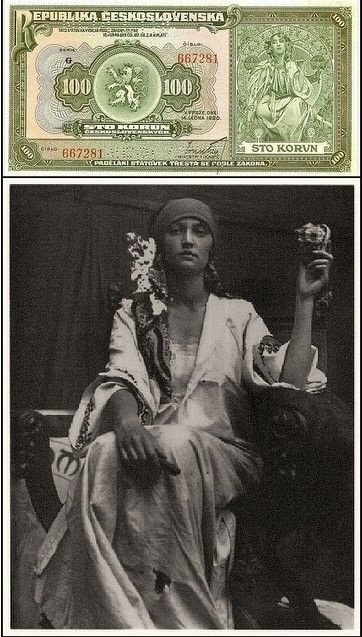 From the series "Times of day"
Advertising poster for the tissue paper "job"
A lot of books have already been written about Alphonse Mucha as a photographer: his talent of the photo artist is indubitable! 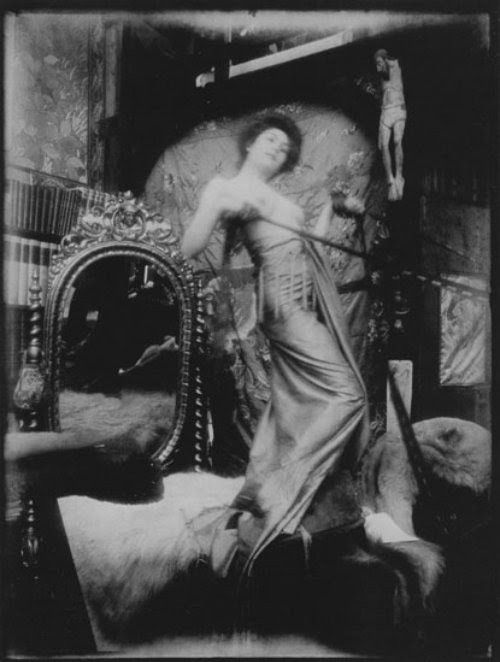 The poster for the ballet-pantomime "Princess Hyacinth"
Old cameras required a long exposure, and sometimes shooting turned into a rather exhausting process for both the photographer and the models who had to remain in unnatural poses for a long time. 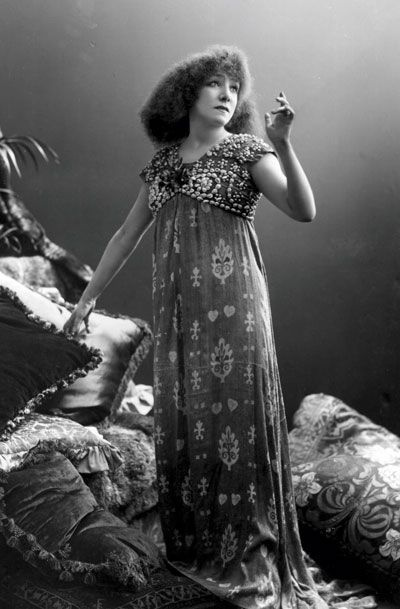 However, many shots made by Mucha are devoid of salon static and impress with their ingenuousness. 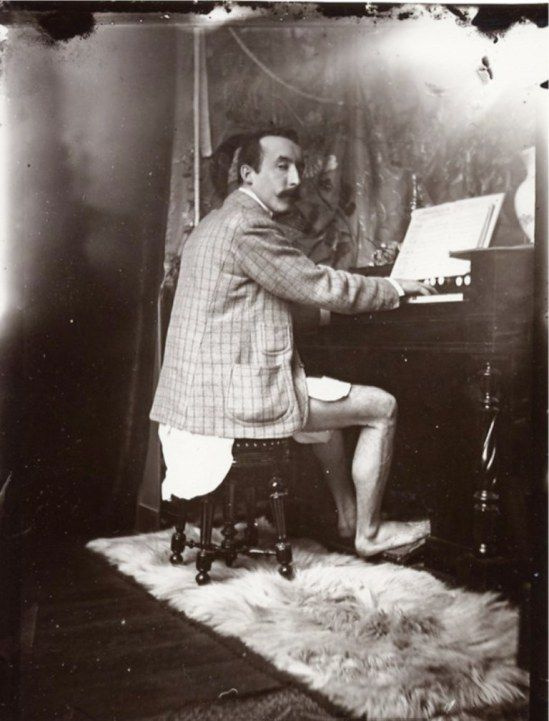 Developing negatives on his own, the artist never sought to enlarge images, being satisfied with small contact prints. In many pictures, we see a pencilled-grid layout, designed to convert images into a large format. 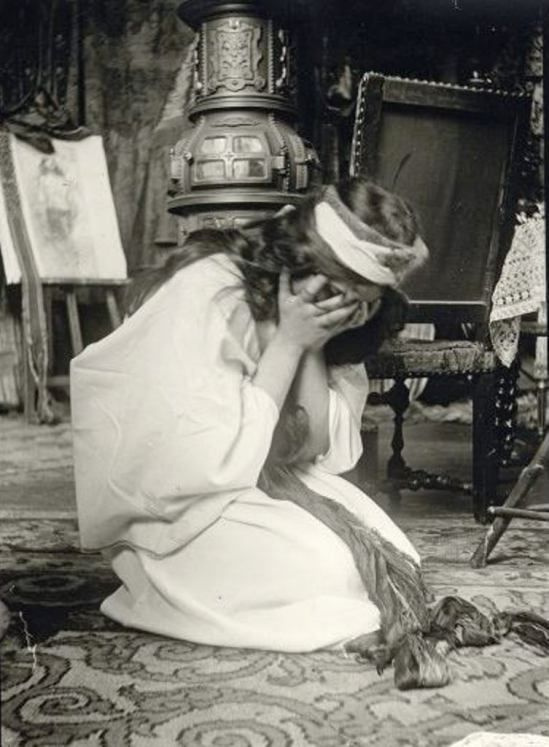 Mucha’s photo archive includes over one and a half thousand prints, exposed printing plates and negatives. 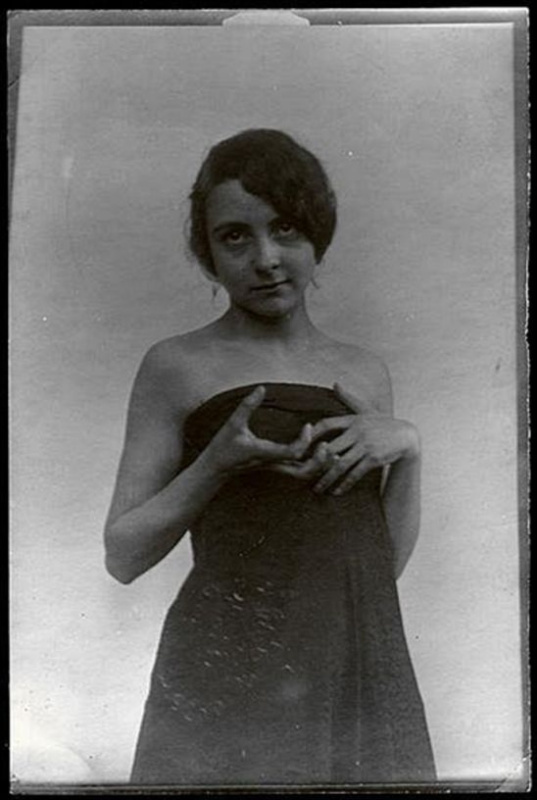 The author meticulously cataloged the images of the models, providing them with practical notes: "Mademoiselle Giselle — very pretty, blonde, heavily-built, for a menu from Nice"; "Mademoiselle Laude — thin, short, for Champenois’s pastels"; "Bertha Lavergne — pretty, looks good naked, brunette, looks good from behind"; "Madame de Nevers — young, slim, beautiful naked body, small breasts, beautiful back, hips and legs." 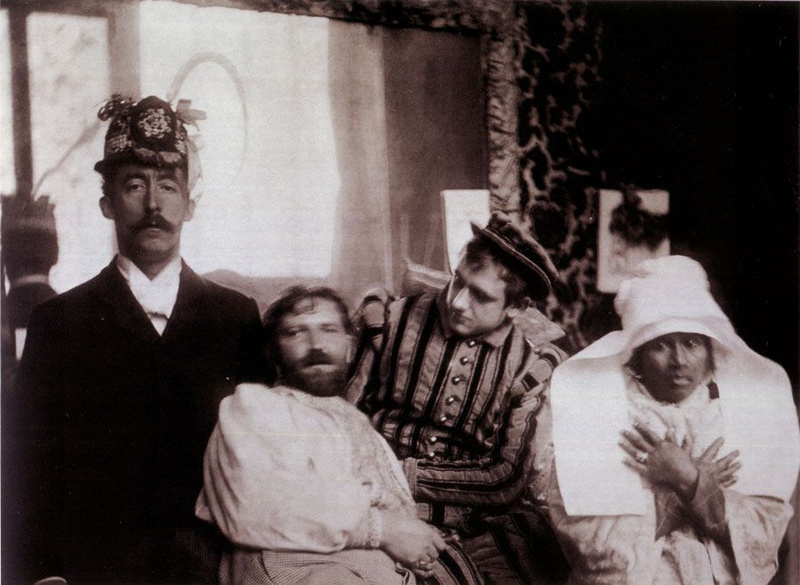 Sometimes, the artist, striving for the ideal, composed a general composition from the fragments of several different photographs. 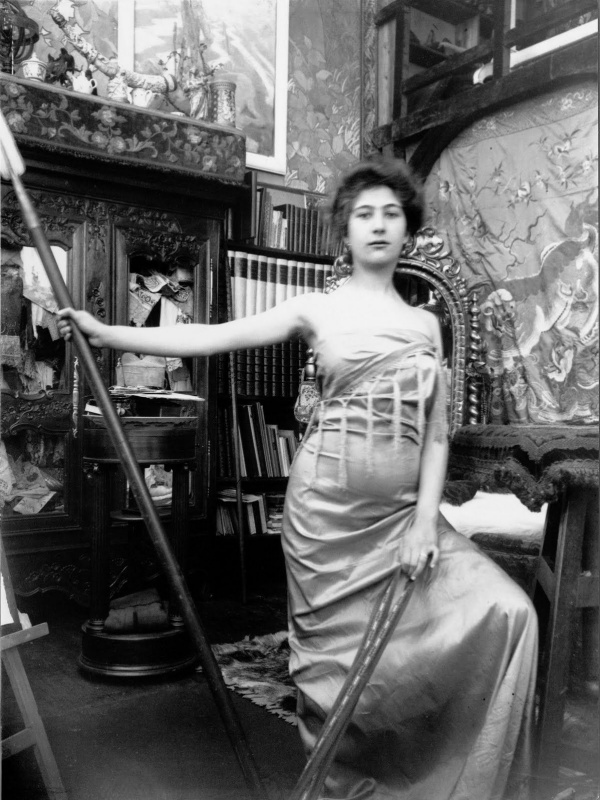 As they say on the website of the Mucha Foundation, "Berthe de Lalande, Mucha’s mistress (c.1896−1997)." 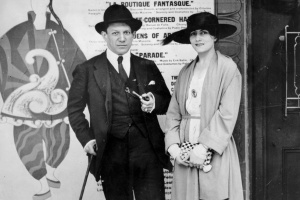 Just look — an almost "official" shooting with no frivolous poses! 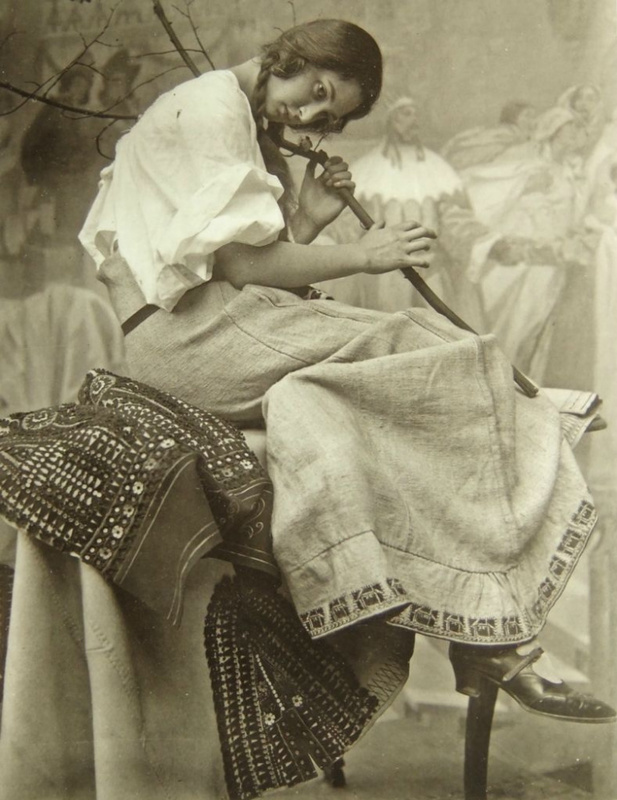 And in 1906, Mucha married his compatriot Marie Chytilová, who remained a life-long source of the artist’s inspiration. 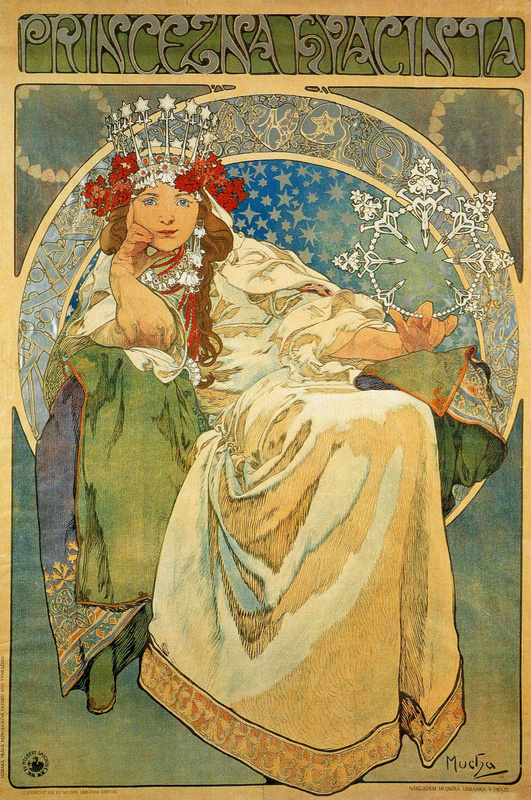 Red-haired enchantresses of Slavic appearance, from commoners to seductive femme fatale in the master’s mature works — this is all she, Mucha’s soulmate and favourite model, his beautiful Marushka! 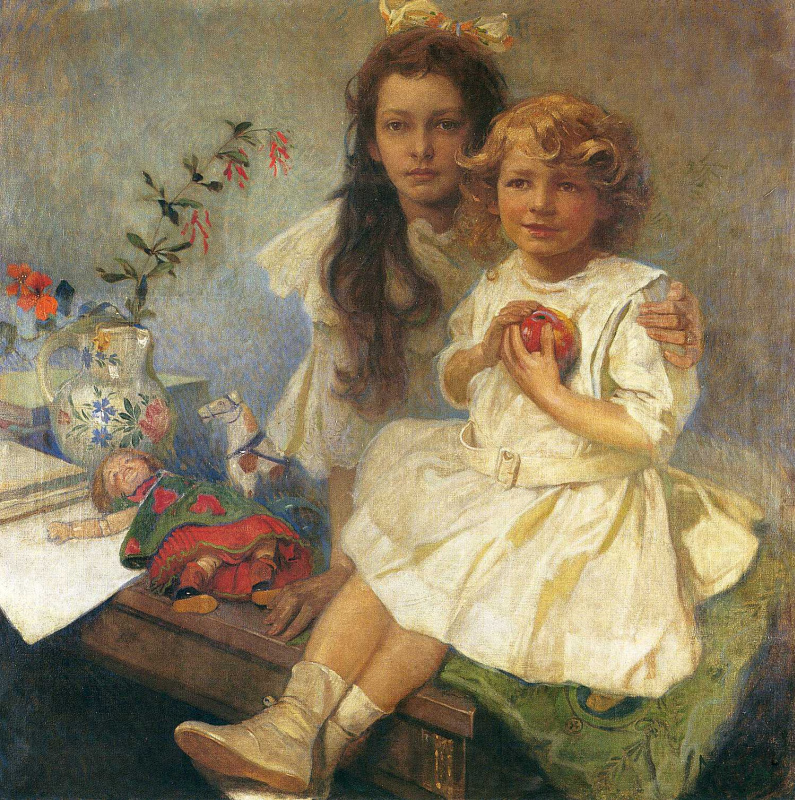 The artist’s children — daughter Jaroslava and son Jiří - often became prototypes of the child images. 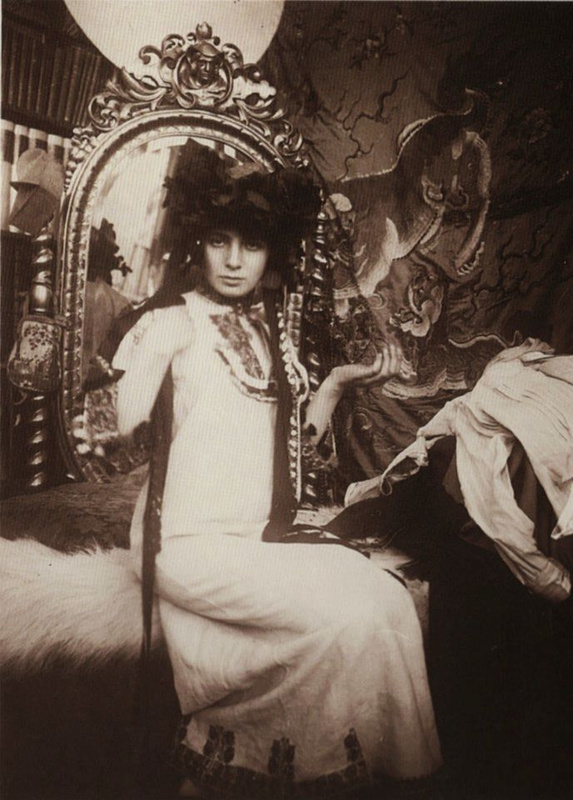 Marie and Jaroslava posed a lot for The Slav Epic cycle, on which Mucha worked from 1910 to 1928. 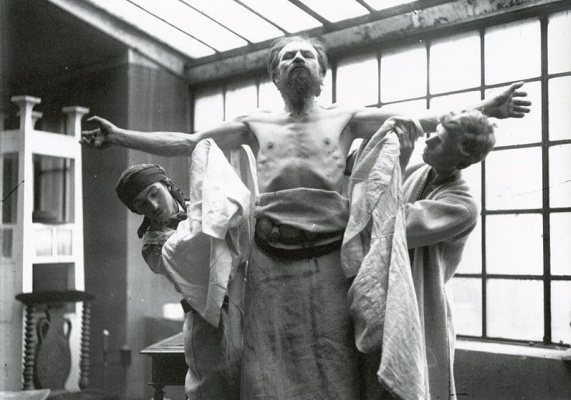 The introduction of the Slavic Liturgy. 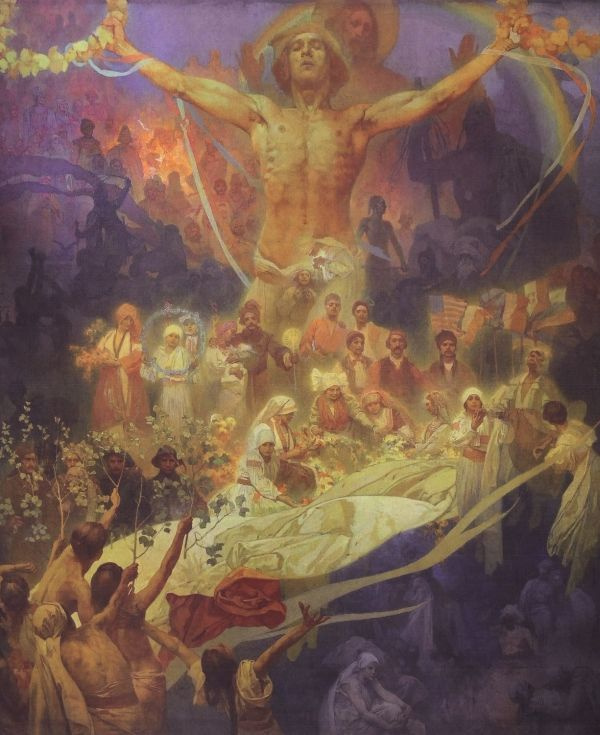 From the series "the Slav epic"
A series of Mucha’s works on Slavic history blows away with its scope and monumentality. 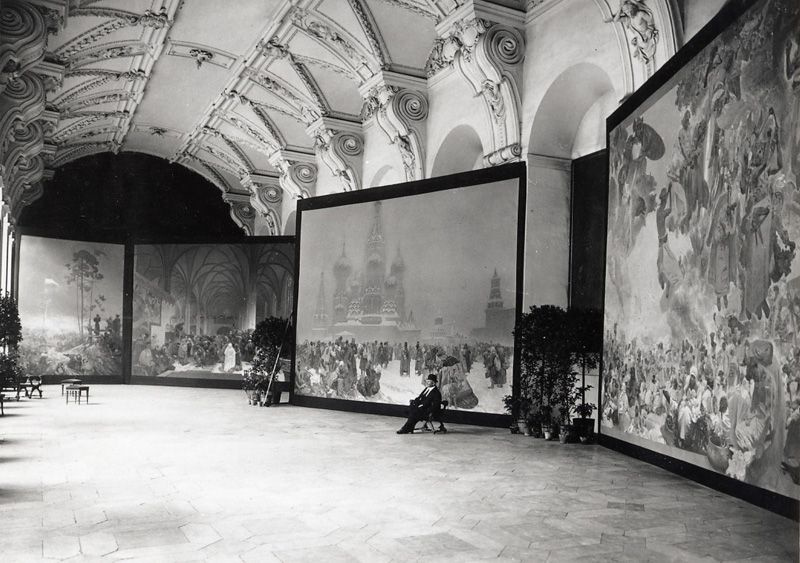 Most paintings from The Slav Epic cycle are 6×8 meters. 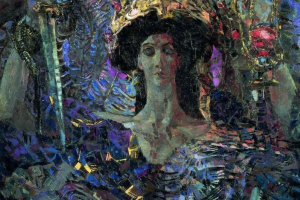 There is a legend that at the preparatory stages almost entire villages posed for the artist, creating multi-figured compositions. 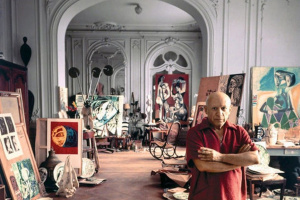 The master pre-painted large-scale scenery, which served as a background for shooting costumed crowd scenes. 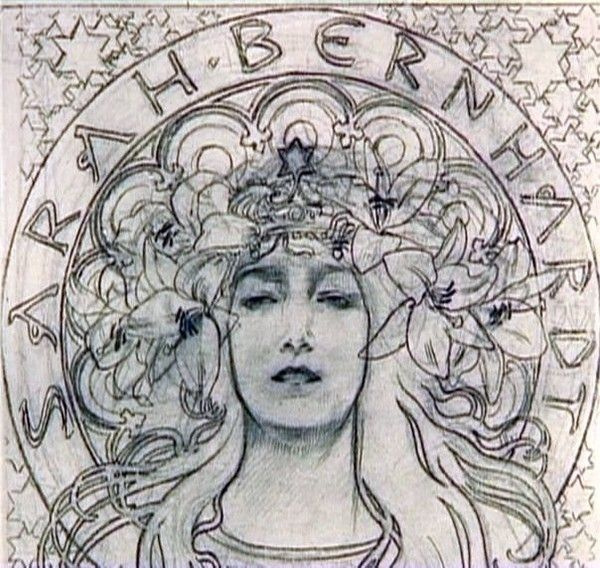 has a similar outline in Mucha’s photographs and in the works of both painters. 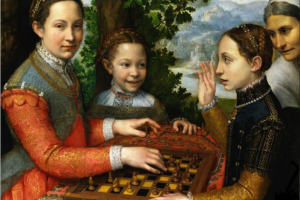 …who knows, whether the languid ladies would have turned out so beautiful, if the artist hadn’t used photos. 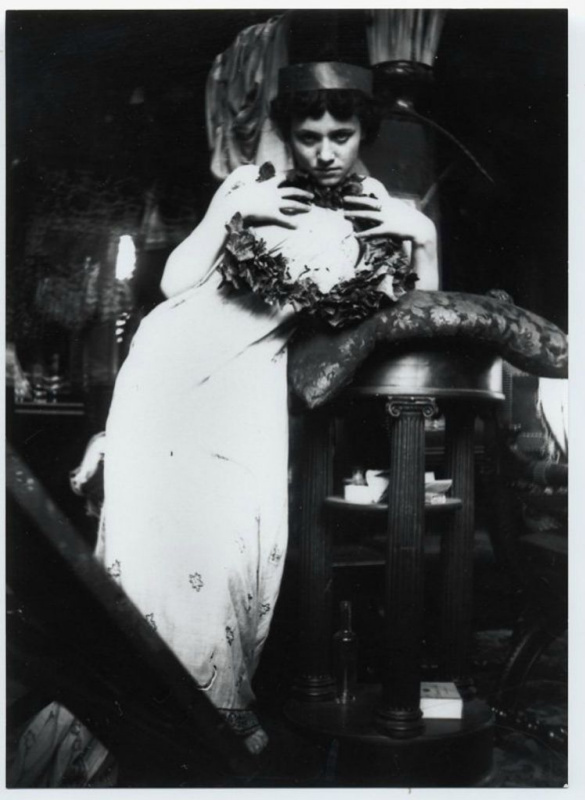 As you can see, Alphonse Mucha created a series of photos in order to use them while creating a series of paintings. 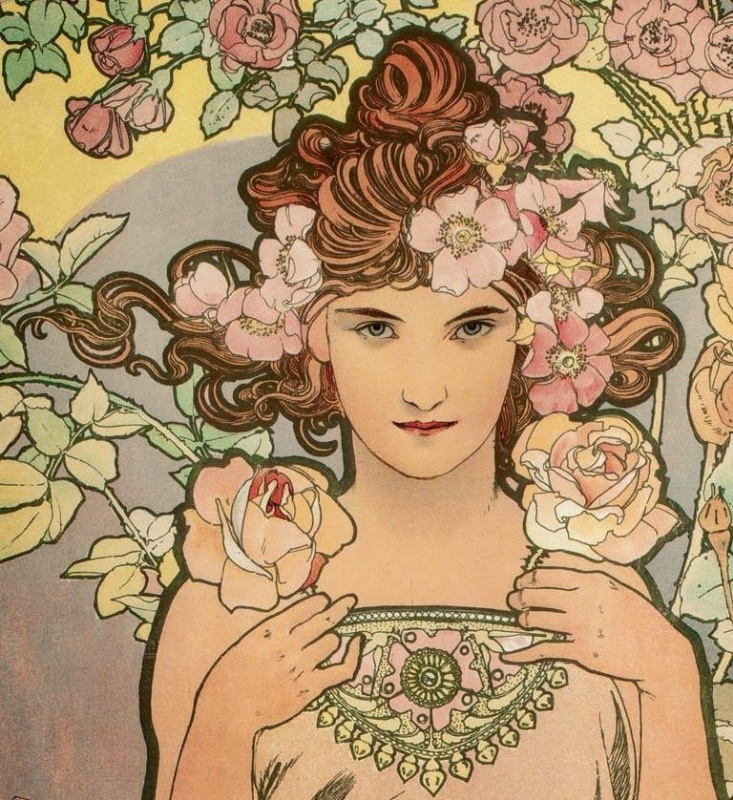 Let’s leaf through a virtual album of photos and find familiar features in the paintings by Alphonse Mucha! 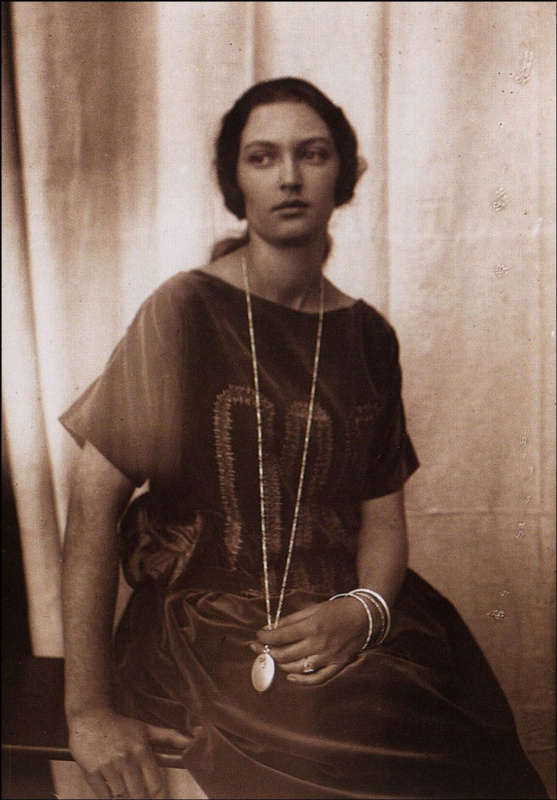 And we won’t be ashamed of our pictorial experiments on creating portraits from photos. It’s a classic move! 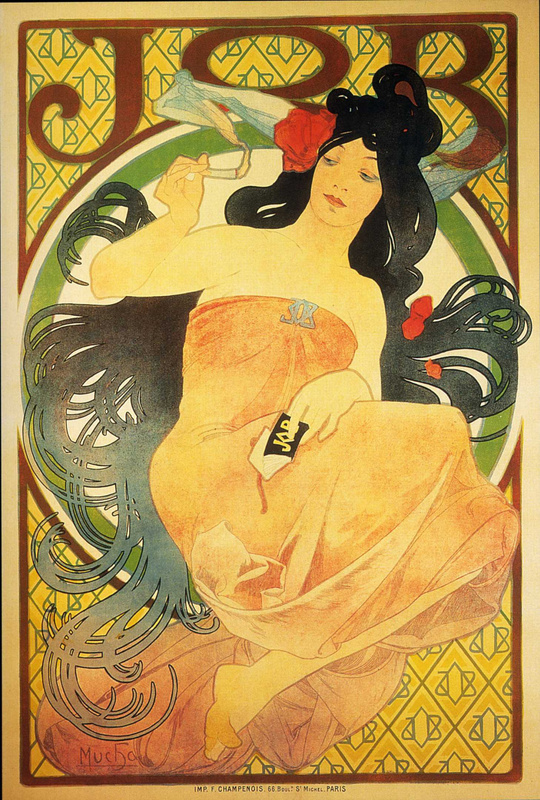 Photos from the website of the Mucha Foundation and the official Facebook page.